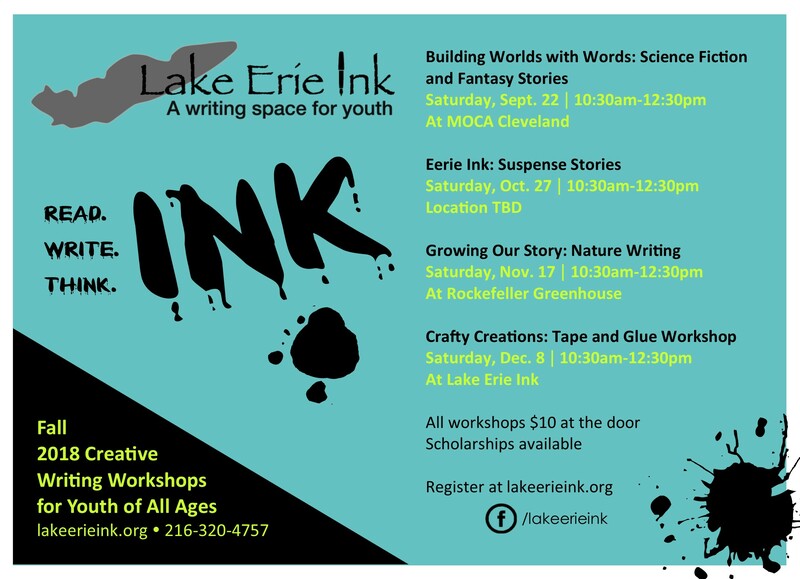 Aug. 29, 2018 -- Lake Erie Ink is offering after-school programming and weekend events this fall, designed to spark creativity and learning. The Ink Spot provides homework help and creative writing activities for students in grades three through six. The sessions take place at the Coventry Building, Monday through Thursday from 3 to 5:30 p.m. Transportation from the CH-UH elementary schools is available. There is also an Ink Spot at Noble Elementary, Tuesday through Thursday from 3 to 5:30 p.m. It is for students grades three through five and is free of charge. The fall Saturday workshops begin September 22. Locations vary. Visit lakeerieink.org for more information.